Ah rice how I wish I could eat bowls and bowls of you...but every time I do my blood sugars get super pissed off and stay high for close to 24 hours. So obviously I avoid real rice at all costs. Now I am not reinventing the wheel but I did decide to take one of my favorite low carb rice substitutes (cauliflower) and try it with one of my all time favorite flavor combos. The result was unbelievable and in my low carb opinion it is even better than the real carb loaded deal. Here is my recipe, which you should make as soon as you possibly can. Wash and dry the cauliflower. Cut it up into small pieces. 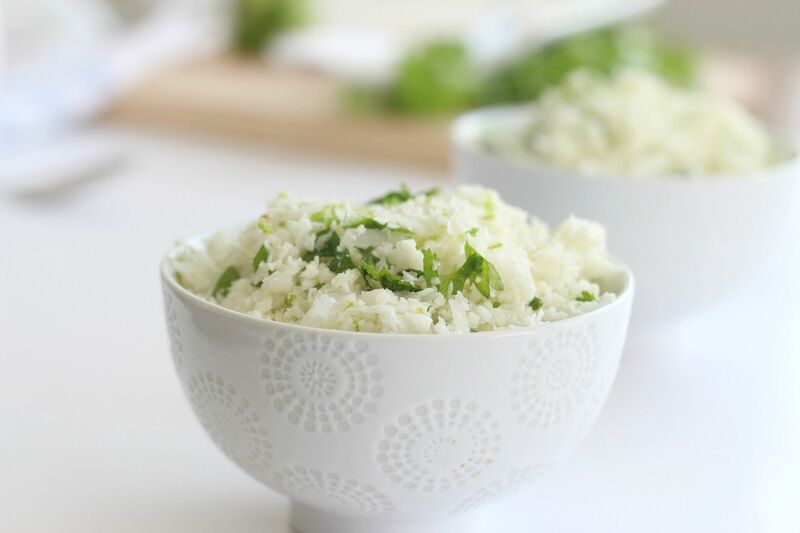 Using the shredder blade on your food processor place the cauliflowers chunks into the processor until it is "riced." 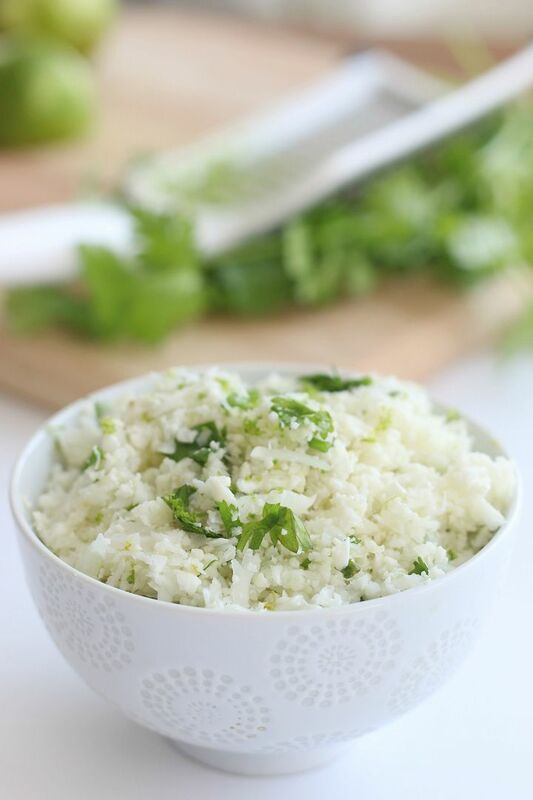 Remove from food processor and place riced cauliflower into a microwave safe dish with a lid. Microwave (you do not need to add any water) for 6-7 minutes. Add the lime, zest and cilantro in the bowl of rice. Mix thoroughly. This is beyond easy and so delicious! One teeny tiny portion of brown rice (1/4 cup to be exact) has anywhere from 35-45 grams of carbs. This ENTIRE cauliflower version has only 17 grams of carbohydrate...so eat up and have seconds or thirds if you wish. Ooooooooh, yummy!!! I'm on it! 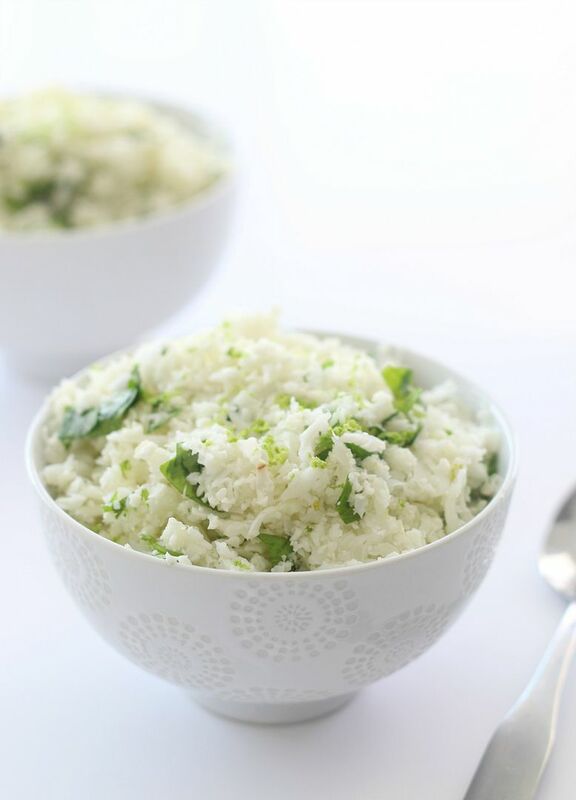 I need to try this cauliflower rice! I am trying this!! Thanks for sharing! I just made this as part of our lunch at it was great! Super easy too. Made this last night, it was delicious - and easy! Thank you! Do you think this would work just steamed in a basket, instead of microwaved? Going to try this! My daughter's sugars go crazy for 24 hours after rice also!